Imagine a smart home where machines do the chores and alert home owners when something is amiss. Or an automated township where lighting can be calibrated to function according to usage and residents can give instant feedback on estate maintenance issues at the click of a button. 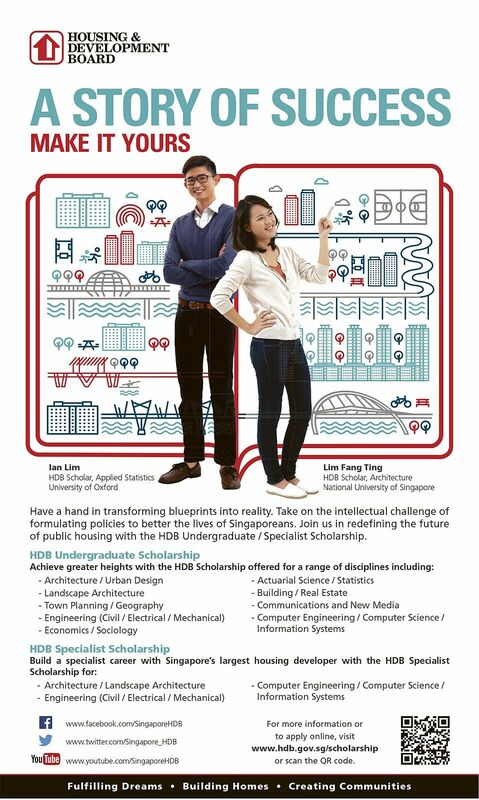 Housing Board (HDB) scholar Wang Xiaochen Cindy is excited about being part of this process. 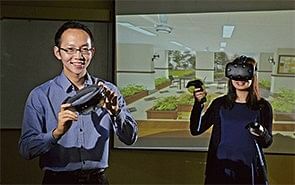 The 25-year-old University College London graduate, who studied information management for business, is currently involved in one of HDB’s pilot Smart Urban Habitat initiatives. She is part of the team developing the technical portion of the Smart Hub, a platform that will provide HDB with advanced analytics and data for better estate management. This platform will be vital to the deployment of Smart Initiatives, which will revolutionise housing estates in Singapore, bringing the republic closer to its vision of becoming a Smart Nation. 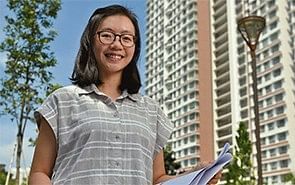 She applied for the HDB Overseas Undergraduate Scholarship as she wanted to “work for an organisation which would allow her to give back to her country”. While studying in metropolitan London, course-mates from many different countries “offered her different perspectives and helped her better understand the needs of Singapore’s evolving demographics”. Under the guidance of distinguished professors, some who actually wrote the textbooks she studied, her intellectual capabilities were challenged and she found her undergraduate life very fulfilling. During her studies, she also did a summer attachment in HDB. The stint gave her a glimpse into the core business functions of the organisation. Since returning from her studies two-and-a-half years ago, she has found working in the information services group (ISG) “very interesting, challenging and rewarding”. She is the key officer for the annual review of all information technology (IT) requests within HDB and leads the IT portfolio management team. The IT portfolio management process is critical as it facilitates the manpower and resource planning of HDB. In order to manage the projects well, she keeps abreast of the latest technology advancements. 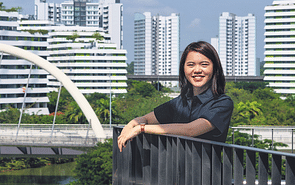 Her role as the Secretary for the Information and Communications Technology Steering Committee (ICTSC) has also given her a bird’s eye view of the latest technology landscape within HDB. What she finds particularly rewarding is seeing how her projects benefit people directly, such as maintaining the car park system to safeguard the integrity and completeness of transactions; and developing a new system for the branch offices to use for over-the-counter payment collection. Ms Wang has attended various training programmes, and has also had opportunities to participate in HDB’s corporate and strategic planning exercises with the senior management and the NCS TechConnect where the latest technology innovations are showcased. Plus, she gets to go on study trips HDB organises, including key international forums such as World Cities Summit, to learn from industry leaders. Ms Wang feels that “each day at work has been a learning experience for her”.